A comprehensive exam enables the dentist to spot early warning signs in the mouth that may indicate disease elsewhere in the body. A comprehensive exam is also recommended before undergoing major procedures including esthetic changes to your smile, implants to replace lost teeth, bleaching procedures, updating old restorations and also prior to some major medical procedures. A comprehensive dental exam means no stone is left unturned and your dentist will know everything there is to know about your oral health. Emergencies and accidents do happen, and knowing what to do when one occurs can mean the difference between saving and losing a tooth. Pain is a signal that something is wrong—a problem that will not disappear even if the pain subsides. Time is reserved in our daily schedules for emergency patients. Call and provide as much detail as possible about your condition. 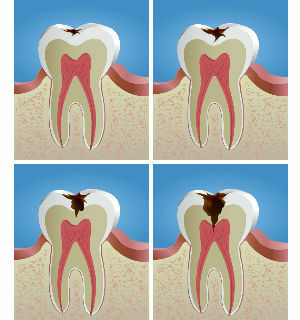 A toothache may indicate anything from a bit of debris lodged against a tooth to a serious infection. If you have a toothache, rinse your mouth with warm water to clean it, then gently floss to remove any remaining debris. Never use a sharp object to remove anything stuck between your teeth, and never place aspirin directly against your gum. The dissolving pill can cause substantial damage to your gum tissue. If the pain persists, please schedule an appointment as it may indicate an infection that needs to be attended to by a dentist. Dental trauma refers to trauma to the face, mouth and especially the teeth, lips and gum tissues. Regular use of mouth guard during sports is the most effective way to prevent dental trauma. Depending on the level of trauma, treatment varies. If it is a life threatening emergency please contact the nearest emergency center or call 911. For other trauma related injuries, we will be able to assess the extent of damage and treat accordingly. The services in our office include, fabrication of mouth guards to all involved in sports related activities. Depending on the size and location of the crack, treatment may vary from bonding to a root canal, or a crown. A severely cracked tooth may need extraction. Tiny cracks are common and do not cause problems. If you continue to have pain, avoid chewing on that side of the mouth and call our office immediately so we take a look and treat. At Reddy Family Dental, emphasis is laid on the importance of regular dental checkups which will allow clinicians to diagnose and treat cracked teeth in the early stage and monitor those that do not need immediate care. Wisdom tooth pain can erupt overnight without warning or can come on slowly and gradually. You may mistake the pain for something else. Therefore it is important to diagnose appropriately. Until you are able to consult a professional, there are ways to alleviate wisdom tooth pain at home temporarily by applying ice chips intermittently on and around the area. Over-the-counter pain relievers such as ibuprofen and acetaminophen will also help dull wisdom tooth pain. The professionals at Reddy Family Dental will be able to evaluate the area, take necessary X-rays, and determine whether or not your pain is truly wisdom tooth pain. A dentist is the best place to go to for a fix. A do-it-yourself kit may work in some situations. Do not use super glue to fix your denture as this may interfere with the lab repair process. When you call Reddy Family Dental, a complete assessment of the denture will be performed and we will present you with your options to repair the denture. We also perform soft and hard relines for your dentures. Mouth sores may be caused from a sharp or broken tooth or poorly fitted dentures, biting your cheek, tongue or lips, burning your mouth from hot foods or drinks, braces and chewing tobacco. Cold sores are caused by herpes simplex virus. They are very contagious. Usually, you will have tenderness, tingling, or burning before the actual sore appears. Mouth ulcers are sores or open lesions in the mouth. The type of ulcer is diagnosed based on its appearance, duration and location. A blood test or a biopsy of the ulcer may be needed on a long standing ulcer. The goal of treatment is to relieve symptoms and treat the cause. Contact us and Reddy Family Dental can get you in ASAP. Until your appointment, gentle and thorough oral hygiene may relieve some of the symptoms. Topical (rubbed on) anesthetic or other soothing preparations may be recommended for applying directly to the ulcer. Avoid hot or spicy foods, which often increase the pain of mouth ulcers. 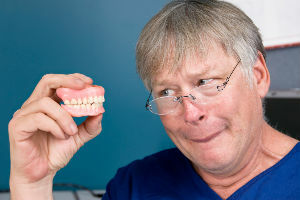 A change in the fit of denture or a change in the way your teeth fit together when you bite. At Reddy Family Dental, a comprehensive evaluation and an assessment of the problem will be performed. Most of the times a treatment plan is recommended. Occasionally, you may be referred to a specialist (periodontist) for further analysis and treatment. The goal is to avoid problems to begin with. By assessing your oral health on an annual basis, we as professionals will know how healthy your mouth is, and will be better able to notice any conditions, such as periodontal disease, that may need additional treatment. Regular bi-annual cleanings at a dental office aid in preventing plaque and calculus build up which is key to the prevention of periodontal disease. By assessing your oral health on a regular basis, the dental team at Reddy Family Dental will be better able to notice any conditions such as periodontal disease that may need additional treatment. Our professional team is dedicated to protecting and improving your oral health. When it comes to fillings, there are various choices available and we will recommend the best for your individual situation. Open communication is always encouraged as it enables a better understanding of your needs. Dental amalgams have commonly been called “silver fillings” because of their silver color when they are first placed. Amalgam is used in the back teeth. Amalgams are less expensive, and can be placed in a wet environment (especially important when treating small children or special needs patients). Amalgam tends to darken in time and sometimes may involve removing healthy tooth structure to place. Amalgam contains a small amount of mercury, and requires special handling to protect the environment. At Reddy Family Dental, every step to meet the regulatory requirements is followed and implemented. All-porcelain (ceramic) materials include porcelain, ceramic or glass-like fillings and crowns. 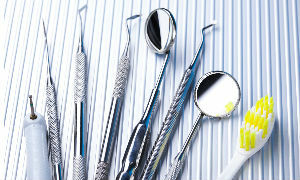 They are used in inlays, onlays, crowns and cosmetic veneers. Some of the advantages include, tooth coloring with excellent translucency, resistance to further decay and surface wear, and does not cause allergic reaction. Disadvantages are brittleness, prone to cracking under biting force and higher cost than other restorations. Smile enhancement can have a dramatic effects on your overall appearance; even the smallest step can boost your confidence, self-esteem, and make you want to smile more. With modern advances in dentistry, cosmetic procedures can range from a basic color correction to replacing missing teeth and everything in between. At Reddy Family Dental, you will be offered more than one option to fit your esthetic and budgetary needs so you may make an informed decision. You may choose to start with familiar procedures, then learn more about what can be offered with modern technology and expert advice. 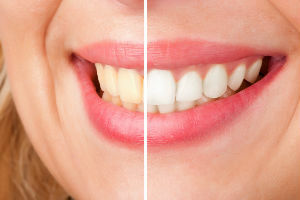 Teeth color: those who have discolored teeth from aging, food, drink, or other yellowing factors, can improve their smile through teeth whitening, porcelain veneers, crowns, or dental implants. Alignment: misaligned teeth can be straightened through orthodontics or veneers. Missing teeth: can be replaced with dental implants, bridges, or partial dentures. Chipped, cracked, uneven: these teeth can be cosmetically bonded with veneers to improve appearance. A crown protects and seals a damaged and decayed tooth and restores it to its original size and shape. The tooth is prepared, an impression of your mouth is taken and sent to the lab to fabricate the crown. In the interim, a temporary crown is placed to protect tooth. Crowns can be made out of porcelain fused to metal, gold or porcelain. Teeth are crowned when there is not enough tooth structure for a new filling, to protect a weak tooth from fracture, to restore a fractured tooth, cover a dental implant or as the final step after root canal treatment. Veneers provide a natural looking beautiful solution for problem teeth. Veneers are thin shells of porcelain bonded to the front of the teeth to improve appearance. These can be used to fix chipped, stained, misaligned, worn-down or abnormally spaced teeth. 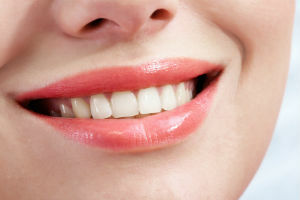 Over the past two decades, tooth whitening or bleaching has become one of the most popular esthetic dental treatments. At Reddy Family Dental, we have two options available to whiten your smile. Custom Trays – Designed specifically for your mouth. Disposable Trays – One time use trays. Bleaching materials are based primarily on either hydrogen peroxide or carbamide peroxide. Both may change the inherent color of the teeth, but have different considerations for safety and efficacy. Home bleaching techniques are effective, although results may vary depending on type of stain, age of patient, concentration of the active agent, treatment time and frequency. However, concerns have remained about the long-term safety of unsupervised bleaching procedures, mostly from undiagnosed or underlying oral health problems. It is important to rule out any dental problems prior to initiating bleaching procedures of any kind. Please visit our office for a consultation. Some patients experience sensitivity when bleaching. We suggest using a fluoridated tooth paste or mouth rinse before bleaching. A diastema is a space or gap between two teeth. It appears most often between the two front teeth, although gaps can occur between any two teeth. There are multiple treatment options to close a diastema, such as veneers, braces or bonding. The professional team at Reddy Family Dental we will help you decide which option is best for you. Our friendly staff will be glad to help with any of your insurance questions. Please call us at (978)7729295. We Provide Care: Dentists in Harvard, Dentists in Ayer, Dentists in Bolton, Dentists in Lunenberg, Dentists in Shirley, Dentists in Groton, Dentists in Acton, Dentists in Devens, Dentists in Boxborough and surrounding towns. © 2019 Reddy Family Dental LLC. All Rights Reserved.